Last time I checked out the vintage Cobra HISS Tank. So it seems pretty obvious this time I’d review the HISS Driver. I don’t really recall this guy showing up much in the animated series or comic book. I’m sure he was in there somewhere, I just can’t recall it. Well, he looks like a HISS Driver. Since the figure is his first incarnation, it matches how he should look. 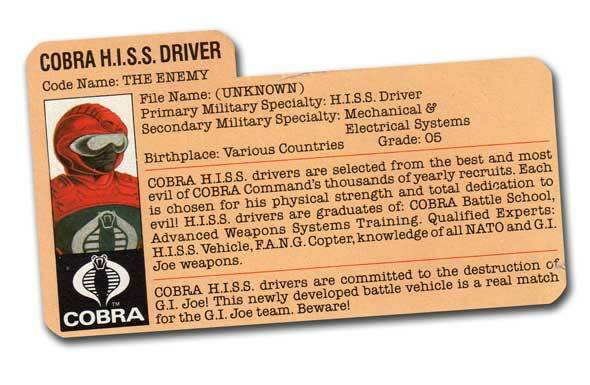 In short, he’s a generic Cobra vehicle driver. Let’s start with the elephant in the room. His chest looks rather blank doesn’t it? There should be a silver Cobra logo there. Sadly, that logo started rubbing off the minute he left the package. I hate to say this but the wear was so bad at one point, I actually rubbed the rest of it off. The blue chest plate, I’m guessing, is suppose to be some sort of body armor. It kind of makes sense as that portion of his body would be visible from the HISS’s canopy. 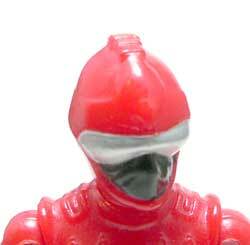 The head is very generic, even for a Cobra figure. The eyes are hidden under a silver visor that has stayed on much better than his logo. There’s a sculpted Cobra decoration on the top of the helmet. The head gives the appearance that might be a helmet from some very softly detailed panels on the sides. The thing I’ve always love bout this figure is the legs. They are so different than any of the figures in the line, they really stand out. Part really high boot and part armor look, the boots evoke the snake motif Cobra is famous for. I almost wonder if all the Cobra drivers should have this uniform. It seems like it would be practical for the FANG or some sort of Cobra motorcycle. Let’s face it. This is a generic Cobra troop. As such, he’s not much more than target practice for the Joe team. But he’s cool looking at least. Remember those legs I mentioned above? They have one other cool feature, built in knee pads. I remember, being mainly a Star Wars kid, thinking that was pretty cool. 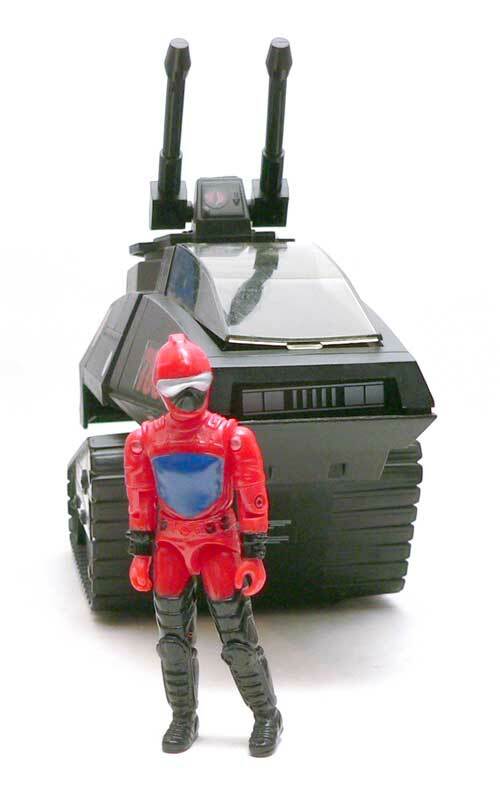 Even Hasbro recognized the coolness of this design when carded him as a single figure for the 25th Anniversary line. I can tell you if he had came with some cool accessories, I’d have picked him up. A fairly unique recognizable character for a cool vehicle, what more could you ask for?